Fistly, On the game's settings for controls, there appear to be at least three main settings for playing the game, which would apparently allow you to use keyboard and mouse, a controller, or a combination of the two input types. In reality, there are only really two ways to go, and that's either just keyboard and mouse, or keyboard, mouse and controller combined. As you technically have a key for everything, and can remap pretty much all of the commands to suit your needs, keyboard and mouse controls are pretty robust. Though those playing on keyboard with number pads can also use the numberpad to move around in 8 directions, Functions, such as Up-Down-Left-Right movement, can be switched into the more commonplace WASD setup. The main issue I have with the keyboard and mouse control is the accidental use of items because they're originally mapped to the letter keys on your board. The fact is that attempting to chat but not properly opening the chat window in advance, may make you accidentally quaff an HP or MP potion or Stamina pill that would be better served as saved for a boss fight. Meanwhile, the pure controller setup is more accessible when it comes to playing the game. It's basically like playing FFXIV with a controller, as you can assign actions and item use to a specific combination of button presses on the controller. The trade off is the inability to easily access the menus for your inventory and and character panes, among other inconveniences. Thus, my preferred style of play is to hook up a Wired Xbox 360 controller and run Auto mode, which basically lets the game flip the control scheme over when I move my mouse or press the keyboard button needed to access the Inventory. Switching between the two control schemes on the fly will automatically change the UI aspect that determines whether keyboards or controllers will fire off attacks. This isn't really problematic, assuming you're in a safe place to equip gear or strengthen your character at a level up. The game has three types of major trading beyond selling items to NPC vendors for silver. TP trading is the first one, which is basically the cash shop. The second is one-on-one trading. The third is market trading, which is essentially an auction house. Trading's funny thing is that TP trading currently has an impact on what you can do when it comes to one-on-one and market trading, in addition to giving other benefits. You can basically imagine it as the Tree of Savior patronage program. You can trade the TP for a consumable for a small amount of Real-money based virtual points (the TP), tradable token that provides bonus XP and increases speed. Tokens also enable the one-one-trading at present, increases the number of items you can sell on the market (from only one item sold on market max to 5, if I remember), and lessens the taxes on sold market goods. The funny thing about market and person-to-person trading at the moment is that it's in a bit of flux. According to the the staff, they're working on adjusting the game's trade restrictions to allow for non-token users to engage in one-on-one trades, though they aren't sure how they'll pull this off yet. The expected change, said the team, is intended to remove restrictions preventing Token users from aiding non-Token users by providing them with better class gear and to dissuade bots from farming and collecting items. Because of these impending changes, I'm not sure what to think. If they make the trading revisions work well, then it could be a boon that makes the game more fun. 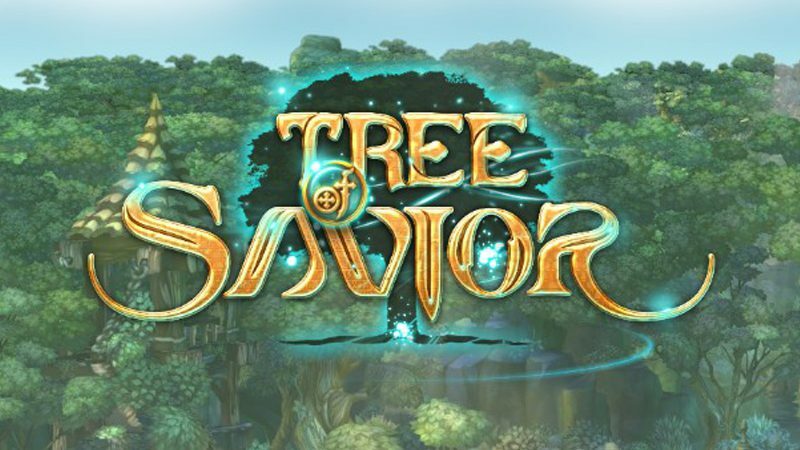 At the same time, the fewer folks who purchase TP from the Tree of Savior team, the less funding they have for development. I'll be trying to see what my swordsman can do as he makes his way across the world in the coming week. Hope more enjoy you and I can have.